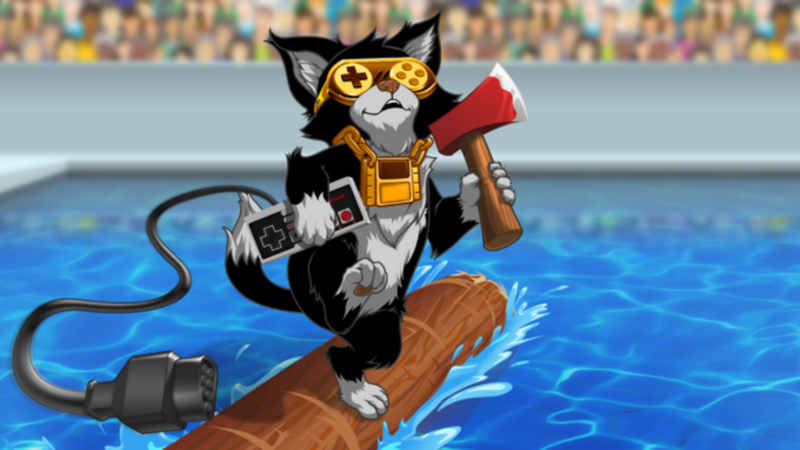 Indie game designer Mega Cat Studios has just made its first foray onto Kickstarter in an effort to expand its horizons with the help of fellow retro game lovers. The company, which has developed a sizable catalog of new retro games for the NES, SNES, and Sega Genesis platforms, is wanting to make a splash in the PC arena, starting out with an upgraded port of the zany Log Jammers. Our team at Mega Cat Studios cut its teeth making physical NES cartridges and porting some of our retro offerings into upgraded PC games. Now we want our first full-fledged PC offering [to be] a success by giving it all the features it needs to be razor-sharp instead of blunt, dull, and dead. From extensive playtesting, tons of feedback from our fans at conventions, and counselling with our lumberjack mentors, we’ve found that online multiplayer is an absolute must. Mega Cat Studios has always focused on couch co-op play, but that can sometimes be an impossibility in our modern day and age. Like with any good campaign, there are a number of special rewards for those who choose to back this latest endeavor, including copies of the game and its soundtrack, a physical copy of the NES version of the game, access to a special Discord to discuss development progress with the design team, and even the ability to get your likeness in the game. Their Kickstarter will be live until October 12, so if this is your type of thing, be sure to get in on the action!